Since November 2016, the Khora Free Shop has provided access to clothing and shoes, as well as essential basic toiletries, and blankets. 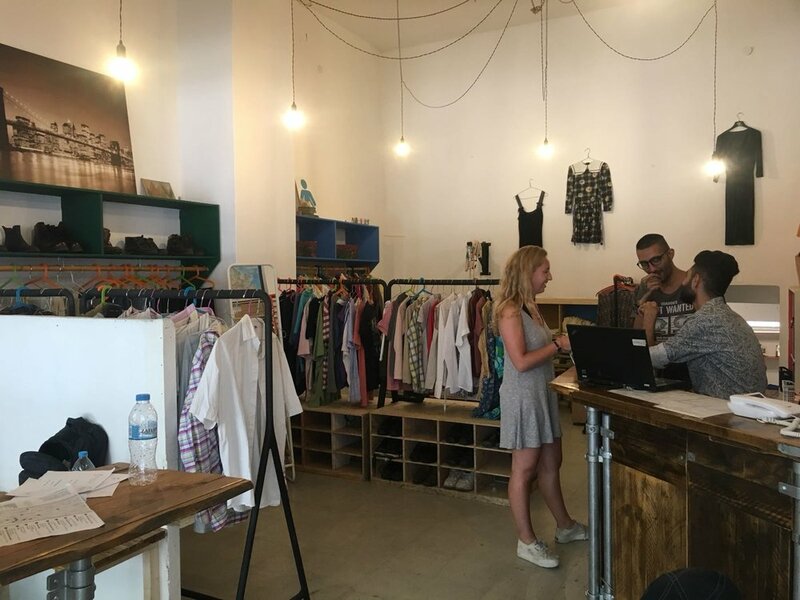 Our vision is to move away from distribution lines, instead allowing people a dignified free shopping experience, where they have choice, and can find items of clothing that both fit them and express their identity. In December 2017 we moved to a new shop front which has given us the opportunity to provide more items to more people, to offer a better experience for those that come to shop, and to work more closely with the local community. We are always in need of donations of clean gently-used clothing and shoes (for men, women and children) as well household linens. Khora Asylum Support Team run sessions with interpreters at Jafra Community Centre on Tuesdays and Thursdays 12.00-17.00. No appointment is needed! Khora Asylum Support Team is a team of volunteer caseworkers and interpreters who aim to fill the gap in information sharing and advocacy here in Athens. We run regular drop in sessions where we offer information and support to people navigating the Greek asylum system, as well as assistance to people trying to access other services in Athens, such as housing and health care. Our work ranges from accompanying people to asylum offices and hospitals, to arranging appointments with qualified lawyers, to keeping up to date with the rapidly changing information related to asylum and welfare in Greece, to running outreach and information sharing sessions in various locations.